Designated Emphasis programs are UC Davis academic programs for Ph.D. students that span multiple graduate groups and provide special training. Ph.D. graduate students in Microbiology can also seek a Designated Emphasis in Biology of Vector-borne Diseases, Biotechnology, Host-Microbe Interactions, or Translational Research. The Designated Emphasis in Translational Research (DETR) is an inter-graduate group program that allows Ph.D. students to receive and be credited for training in the area of translational research. This training is a key component of a larger UCD strategy for creating a groundbreaking translational research program that is team-based and multidisciplinary and to make bold new changes in how we train our basic scientist students to discover answers to medical challenges. The overarching goal of the initiative is to provide an innovative, cost-effective, and sustainable model for training a new cadre of Ph.D. biologists who will have productive careers in clinically-relevant basic research. 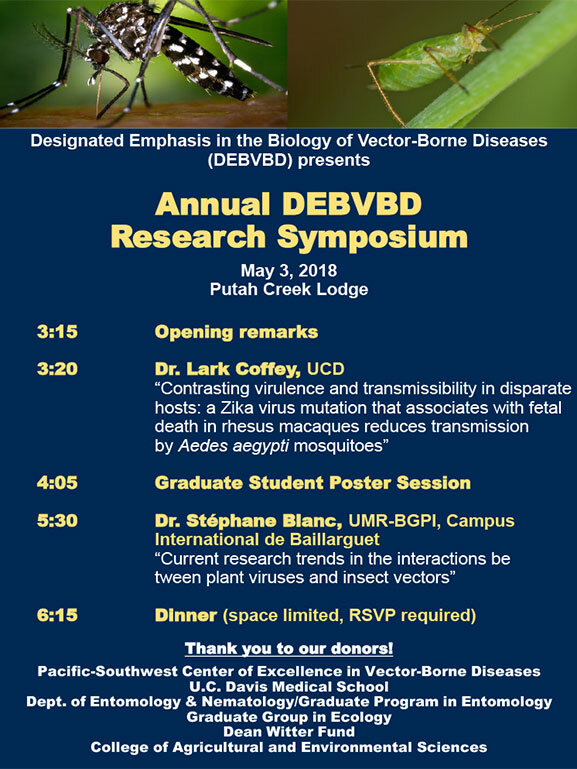 Graduate Students from the Ph.D. programs in Entomology, Epidemiology, Microbiology, Ecology, and Integrative Pathobiology presented their research at the Annual Symposium for the Designated Emphasis in the Biology of Vector-Borne Diseases (May 2018, Photo by Jessica W. Toan). 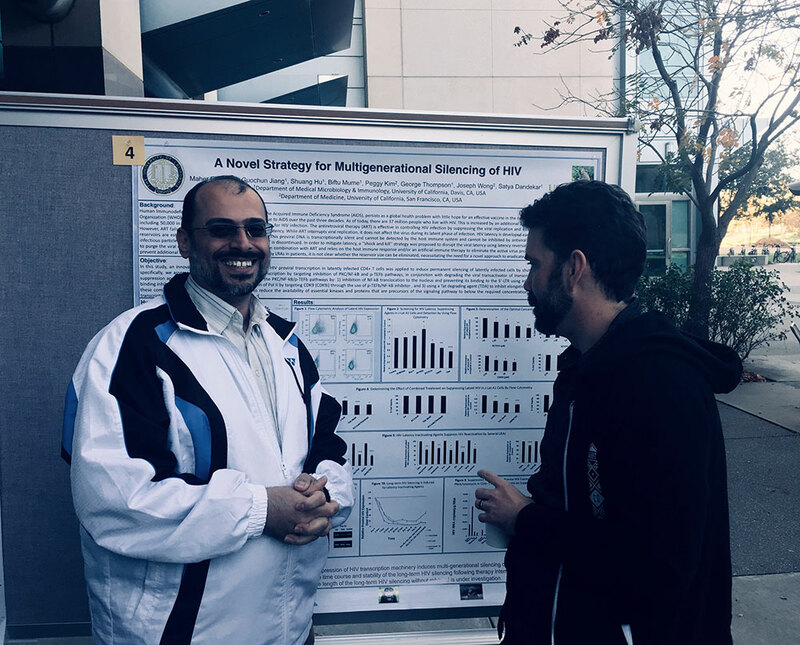 Maher Elsheikh (left) from Dr. Satya Dandekar’s lab presenting his research on HIV. Maher is a current Ph.D. candidate with a Designated Emphasis in Biotechnology (Nov 2017, Photo by Phylicia Aaron).